• Press [Ctrl] [Shift 1 • (hold down the control and shift keys and type a period). 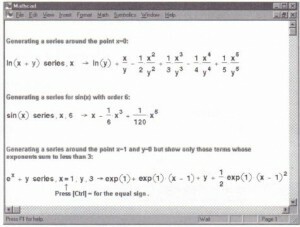 Mathcad displays a placeholder to the left of the arrow, “~”. • Type complex into the placeholder. 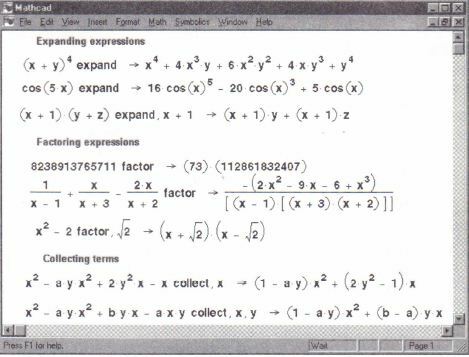 Mathcad will assume all the terms in the expression are written in the form a + b . i .The results will also be in this form. Figure 17-7 shows an example.Another way to evaluate an expression in the complex domain is to enclose the expression between the editing lines and choose Evaluate⇒Complex from the Symbolic menu. • Press [Ctrl] [Shift 1 . (hold down the control and shift keys and type a period). Mathcad displays a placeholder to the left of the arrow, “→”. • Type float into the placeholder. 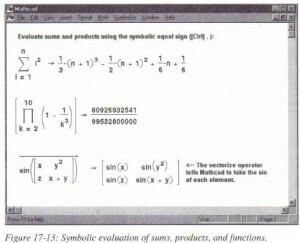 Mathcad by default returns a result with up to 20 digits to the right of the decimal point. comma and an integer between 0 and 250. Figure 17-7 shows an example. Another way to perform floating point evaluation on an expression is to enclose the expression between the editing lines and choose Evaluate ⇒floating Point from the Symbolic menu. This brings up a dialog box in which you can specify the number of digits to the right of the decimal point. Mathcad displays a placeholder to the left of the arrow, “-/’. • Enter the expression to simplify. • Enter assume, x=real into the placeholder (press [Ctrl]= for the equal sign). The last example in Figure 17-7 illustrates how an integral can be made to converge by assuming a variable is positive and greater than 1. Note that in order to specify more than one condition, you simply separate the conditions with a comma. Figure 17-7: Evaluating expressions symbolically. • Enter the expression you want to evaluate.• Press [Ctrl] [Shift) . (hold down the control and shift keys and type a period).Mathcad displays a placeholder to the left of the arrow, “→”.• Type simplify into the placeholder.• Press [Enter] to see the result. 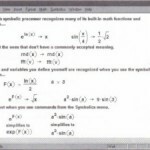 When the symbolic processor simplifies an expression, it performs arithmetic, cancels common factors, uses basic trigonometric and inverse function identities, and simplifies square roots and powers. 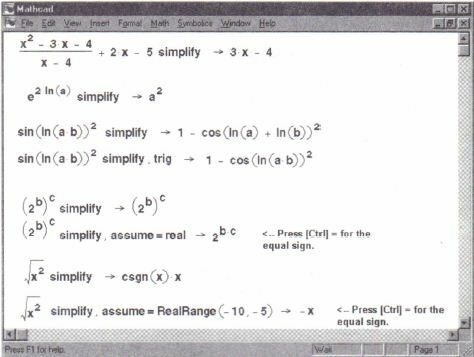 • Enter simplify, trig into the placeholder. Figure 17-8 shows some examples using the simplify keyword with and without additional modifiers. Note that you can also simplify an expression by placing it between the two editing lines and choosing Simplify from the Symbolic menu. 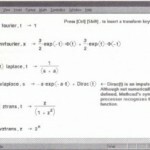 This method is useful when you want to simplify parts of an expression. 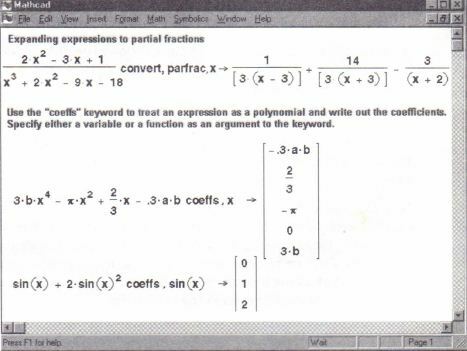 Mathcad may sometimes be able to simplify parts of an expression even when it cannot simplify the entire expression. If simplifying the entire expression doesn’t give the answer you want, try selecting sub expressions and choosing Simplify from the Symbolic menu. If Mathcad can’t simplify an expression any further, you’ll just get the original expression back as the answer. functions, the symbolic answer may differ from a numerical answer. For example,simplifying a in (sin (θ)) yields θ but this equation holds true numerically in Mathcad only when θ is a number between π2 and π2. • Enter the expression you want to expand. • Type expand into the placeholder. 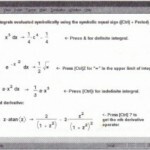 Figure 17-10 for some examples. Another way to expand an expression is to enclose the expression between the editing lines and choose Expand from the Symbolics menu. • Enter the expression you want to expand. • Press [Ctrl] [Shift 1 • (hold down the control and shift keys and type a period). • In the placeholder, type series followed by a comma and the variable or expression for which you want to find a series expansion. • Press [Enter] to see the result. to a series in x, it returns an expansion of the sine function in powers of x in which the highest power is x5 . The error is thus O(x6). keyword should be of the form var=z, where z is any real or complex number. For example, series I x=l expands around the point x=l. Press [Ctrl] =for the equal sign. To expand a series around more than one variable, follow the series keyword with a comma and the variables, separated from each other by commas. The last example in Figure 17-9 shows an expression expanded around x and y. Figure 17-9 shows some examples of expanded expressions. of the series. This command is limited to a series in a single variable; any other variables in the expression will be treated as constants. The results also contain the error term using the 0 notation. Before you use the series for further calculations you will need to delete this error term. In using the approximations you get from the symbolic processor, keep in mind that the Taylor series for a function may converge only in some small interval around the center. Furthermore, functions like sin or exp have series with infinitely many terms,while the polynomials returned by Mathcad have only a few terms (how many depends on the order you select). Thus, when you approximate a function by the polynomial returned by Mathcad, the approximation will be reasonably accurate close to the center, but may be quite inaccurate for values far from the center. Figure 17-9: Generating a series. • Enter the expression you want to factor. • Press [Ctrl] [Shift 1(hold down the control and shift keys and type a period) Mathcad displays a placeholder to the left of the arrow, “→”. • In the placeholder, type factor. and will often simplify a complex fraction with more than one fraction bar. If you want to factor an expression over certain radicals, follow the factor keyword with a comma and the radicals. from the Symbolic menu. You can also use this menu command to factor an entire expression, but keep in mind that the Symbolic menu commands do not use any previous definitions in your worksheet and do not automatically update. 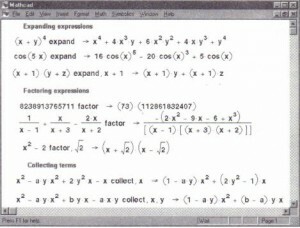 See the examples in Figure 17-10 for examples of factoring expressions. 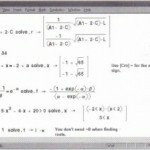 • (hold down the control and shift keys and type a period).Mathcad displays a placeholder and the arrow, “→”. • In the placeholder, type collect followed by a comma and the variable or sub expression on which to collect. 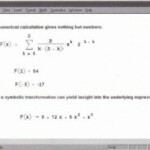 The result is a polynomial in the variable or sub expression. The sub expression you select must be a single variable or a built-in function together with its argument. To collect on more than one variable, follow the collect keyword with a comma and the variables on which to collect, separated from each other by commas. See Figure 17 -1 0 for examples of simplifying expressions by collecting like terms. An alternative method for collecting terms of an expression is to click on a variable in an expression and choose Collect from the Symbolic menu. 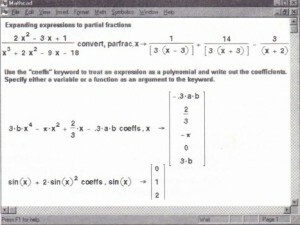 Figure 17-10: Expanding to a polynomial.factoring, and collecting terms. • Enter the expression.Press [Ctrl] [Shift 1 • (hold down the control and shift keys and type a period).Mathcad displays a placeholder to the left of the arrow, “→”. • In the placeholder, type convert, paranoiac followed by a comma and the variable in the denominator of the expression on which to convert. 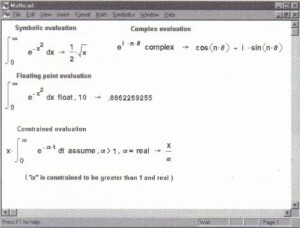 Fraction from the Symbolic menu. • Enter the expression you want to rewrite. • In the placeholder, type coeffs followed by a comma and the variable or function in which you want your expression to be regarded as a polynomial. first element of the vector is the constant term and the last element is the coefficient of the highest order term in the expression. Figure 17-11 shows two examples. Another way to rewrite an expression as a polynomial is to enclose it between the two editing lines and choose Polynomial Coefficients from the Symbolic menu. • In the placeholder, type substi tute followed by a comma and an expression of the form var l=var 2 where var l is a variable and var 2 is a variable or expression. Press [Ctrl] = for the equal sign. 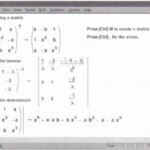 Mathcad will replace var 1 with var 2. If var 1 occurs more than once in the expression you are transforming, Mathcad replaces each occurrence. Figure 17-12 shows some examples. 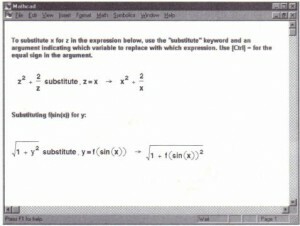 to perform a substitution in any expression. Figure 17-12: Substituting an expression for a variable. • Create the summation operator by typing [Ctrl][Shift]4. • Enter the expression you want to sum in the placeholder to the right of the “∑. the ‘∑’ as shown in Figure 17-13. The procedure is the same for a product over a range, except that you type [Ctrl][Shift]3 to get the product operator.If you use umerical limits in a summation or product range, be sure that the upper limit of the range is greater than or equal to the lower limit. Another way to evaluate a summation is to enclose the summation expression between the editing lines and choose Evaluate⇒Symbolically from the Symbolic menu. 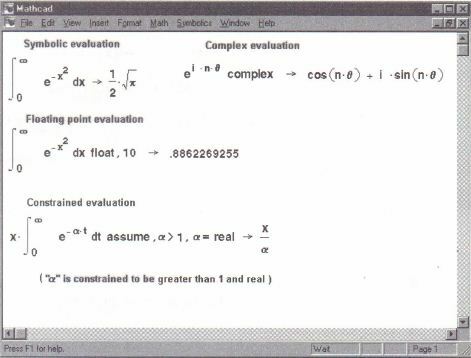 Figure 17-13 illustrates various results of symbolic evaluation. 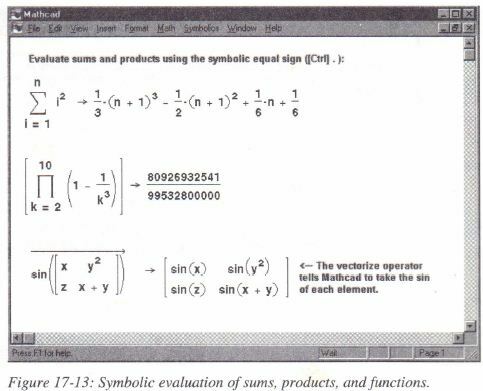 Figure 17-13: Symbolic evaluation of sums, products, and functions.